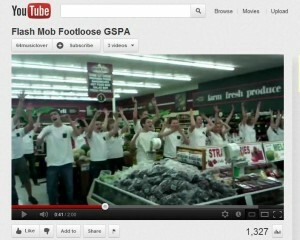 GSPA promoted the upcoming school musical, Footloose, through a flash mob at Yoder’s and Shady Maple grocery stores. The students serenaded grocery store shoppers with a Footloose medley. Watch the flash mob performance at Yoder’s Grocery Store on YouTube. 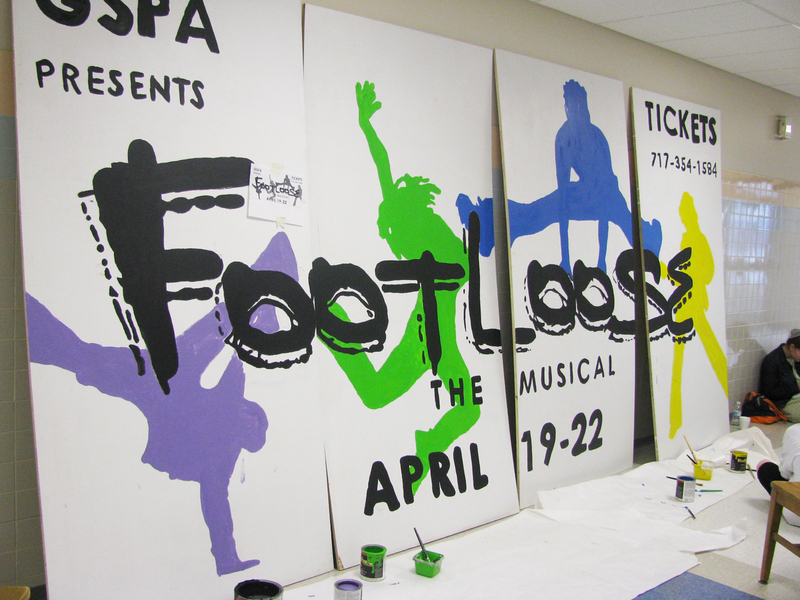 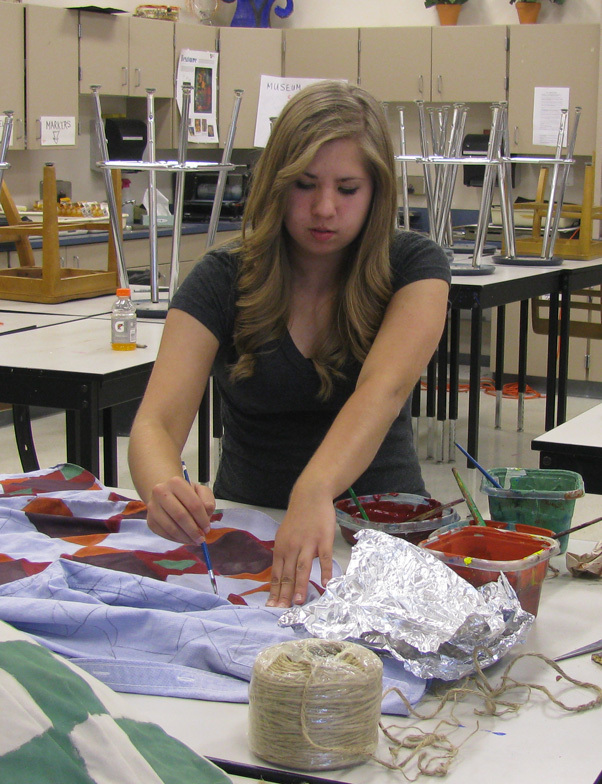 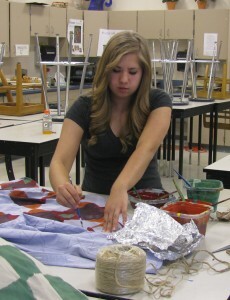 Garden Spot student members of the GSPA paint crew are having fun as they begin work for the spring musical, “Footloose”, which will be held on April 19th – April 22nd. 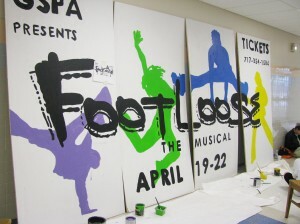 For tickets and information, call 717-354-1584. 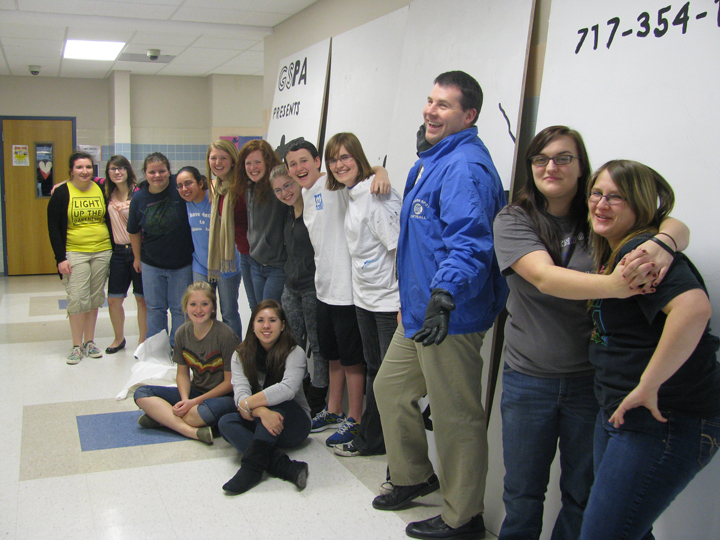 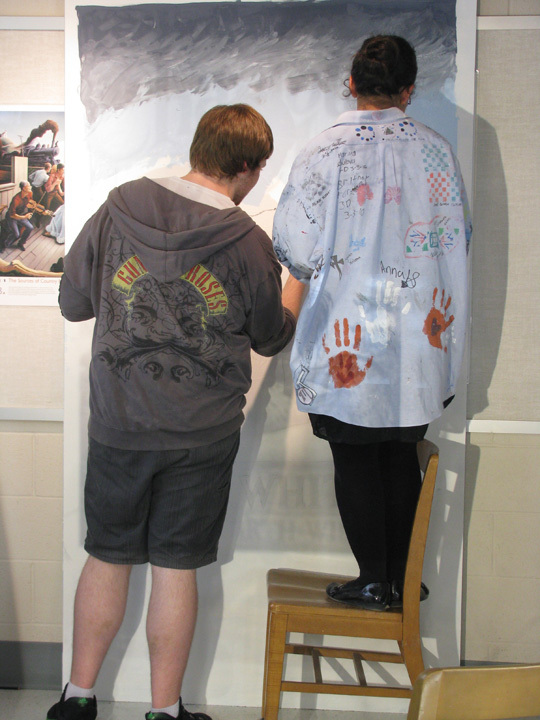 Members of this year’s Garden Spot Performing Arts Paint crew had fun creating large posters to advertise the show, “Charlotte’s Web”.